Sound travels in the form of waves of vibrating particles colliding with each other in the direction of transmission. That is why sound can travel through water, air and even solids, but it cannot propagate through a vacuum. Sound depends on the medium through which it travels, so any factors that influence the state of the medium can in turn affect the traveling of sound. Wind, among other factors, can impinge on sound transmission, by causing noise, attenuation (the reduction in strength of the transmitted sound signal), or a change in the direction of the sound path known as refraction. Noise is any unwanted energy that degrades the quality of a signal. When you are speaking through a microphone, for instance, you may notice a slight change in the output especially if there is wind in the background. Wind causes air particles to vibrate and collide in the same way sound does. Therefore, when you pick up sound using a microphone, the collisions of air particles due to wind may also get picked up and be included in the overall signal. 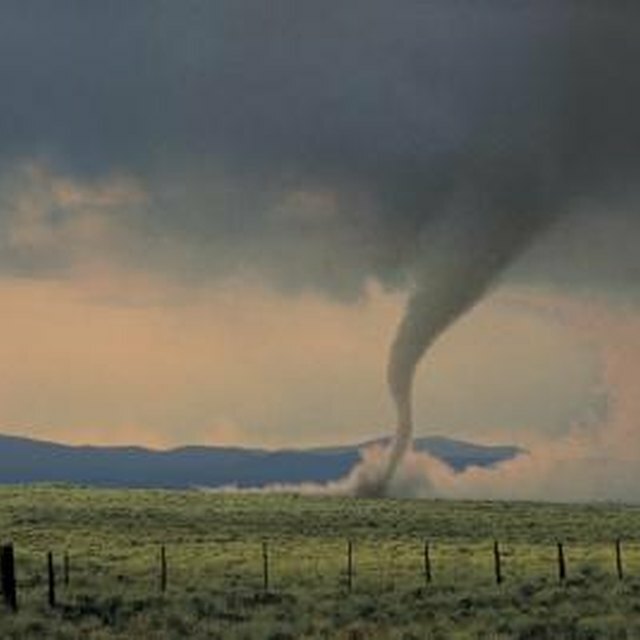 Wind can affect other atmospheric conditions as well. Some of these conditions include temperature and humidity. There are some winds, such as the sirocco from North Africa, that blow hot air into a region causing an increase in temperature. Also, wind from a wet region can carry with it moisture embedded in the air particles, causing the target region to become humid. These two atmospheric conditions in turn greatly affect the propagation of sound. Air absorbs sound passing through it. However, temperature and humidity significantly affect the amount of absorption. For instance, air of 10 percent relative humidity can cause more than a 2 decibel reduction of sound of 4 kilohertz per 100 meters. Atmospheric temperature, on the other hand, can boost the rate of attenuation of air with 10 percent relative moisture content to levels as high as 5 decibels for every 100 meters traveled. Refraction is the change in direction of a wave. Wind affects the propagation of sound by refracting its waves. Wind closer to the ground moves slower than wind at high altitudes because of all the obstacles on the surface, such as trees and hills. The difference in velocity creates a wind gradient, causing a sound signal traveling downwind to bend downwards, while sound traveling upwind will bend upwards relative to the sound source. Therefore, a person standing downwind of a sound source hears higher levels of sound, while a person standing on the opposite end will hear lower sound levels. The scale of this effect can increase over longer distances and higher wind velocities. To overcome the effects of wind on a sound signal, you should consider listening or recording from a distance less than 100 feet away from a sound source. Within this distance, the attenuation of sound is not that profound. You should also try to avoid transmitting sound when the wind speeds are 5 meters per second or more. The refractive effect of wind on sound is not as significant as it would be at high wind velocities. Stephen, Mike. "Effect of Wind on Sound Transmission." Sciencing, https://sciencing.com/effect-wind-sound-transmission-23531.html. 13 March 2018.